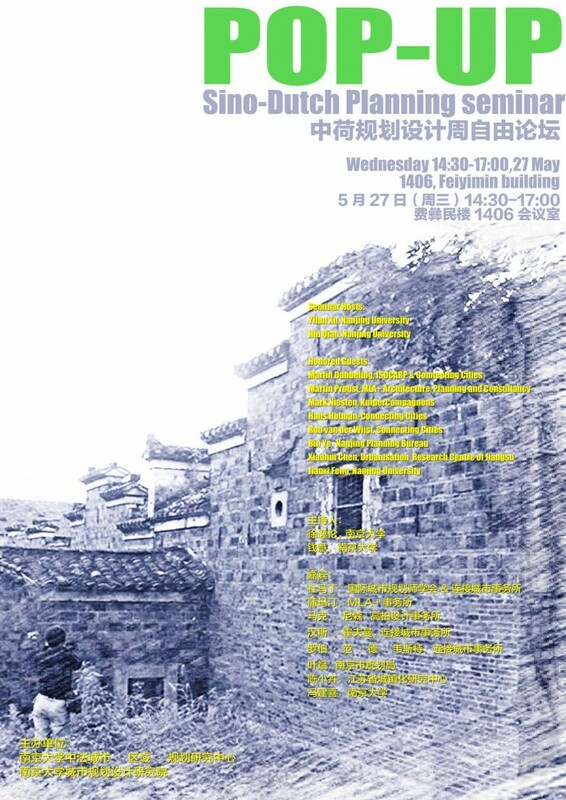 Invited by Faculty of Architecture and Urban Planning, Nanjing University and Ningbo Institute of Planning and Design and the School of Urban Design, Wuhan University a Team of Dutch Experts (TDE) from ISOCARP and the Connecting Cities Network visited Nanjing, Ningbo and Wuhan from 25 May to 3 June 2015, participating “Sino-Dutch Planning Week” in Nanjing and seminars in Ningbo and Wuhan. 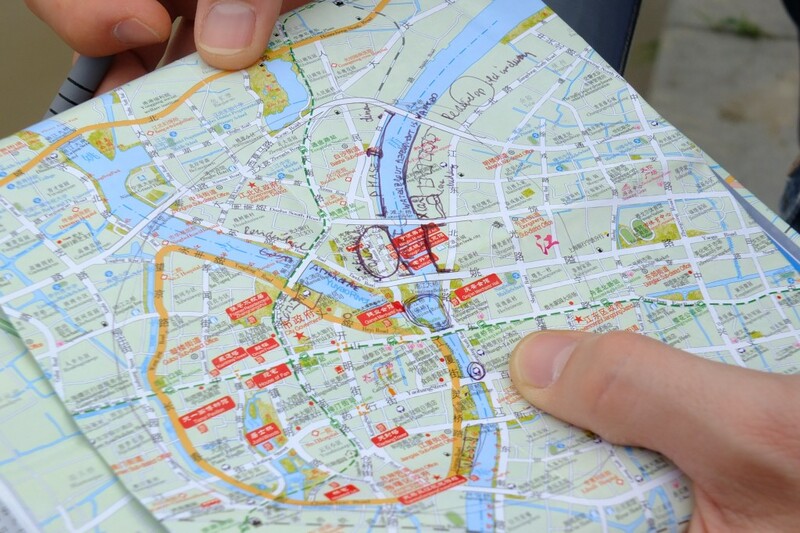 The “Sino-Dutch Planning Week” in Nanjing University is an important part of “village planning” education programme of the fourth-year bachelor students from urban planning discipline. By involving the Team of Dutch Experts, the planning week was supposed to broaden students’ vision and train them the planning knowledge and skills of rural planning. She Village in Nanjing was chosen as the case study. 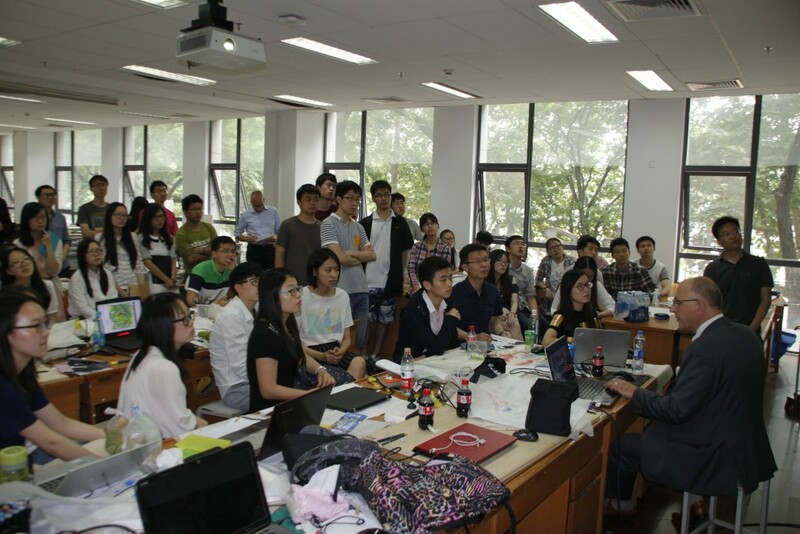 The Team of Dutch Experts and lecturers from Village Planning Group of Nanjing University supervised students. The theme of the plan was revitalisation plan and design of She Village. Prof. Zhengdong Luo, Jianxi Feng, Hui Qian, Kai Wang and Chen Lv, Mengyun Liu (from Ningbo Institute of Planning and Design) also constituted the teaching team. On 25 May, accompanied by the local authority, the Team of Dutch Experts, lecturers and the students visited She Village for field trip. 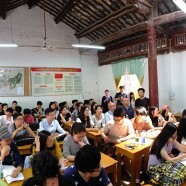 From 26 to 28 May the students were divided into five workshops; a Dutch expert guided each workshop. The experts help the students to develop their planning visions and concepts with brainstorming, case studies, group discussion and of course sketches and drawings. In the afternoon of 28, each workshop presented their preliminary plans and designs and exchanged their ideas to each other. In the afternoon of 27 May, the Team of Dutch Experts and representatives from local planning agencies joined “Pop-up Sino-Dutch Planning Seminar”. These representatives are: Xiaohui Chen (Deputy Director of Urbanisation and Urban-Rural Planning Research Centre of Jiangsu); Yilun Xu (Dean of Institute of Urban Planning and Design); Xiaohua Zheng (Director of Nanjing Urban Planning and Research Centre). During the seminar, experts from two countries introduced their experience in rural planning and discussed the possible solutions to the problems of rural China in rapid urbanisation era. The Team of Dutch Experts was invited to join another seminar at Urbanisation and Urban-Rural Planning Research Centre of Jiangsu, hosted by Deputy Director Xiaohui Chen. 29-31 May, the Team of Dutch Experts visited Ningbo Institute of Planning and Design and gave four presentations. Mark Niesten introduced some water planning projects in his presentation named “New Role of Water in Urban Planning”. He pointed out two new approaches in water planning: creating new values by using water; making cities more resilient and attractive by integrating water in urban planning. Hans Hofman gave his presentation “The changing world of planning in both China and the Netherlands”. He argued that people, planet, profits and process are the four key aspects of urban planning. Aging population, end of big plans, and urbanisation (decline in rural areas) are the three changes in both China and the Netherlands. Hans Hofman also gave three principles to cope with the changes: more diverse development; more inner-city development focusing on quality; use “gene” (local quality) for new spatial, economic and social impulses. Rob van der Wijst gave his presentation named “Reinventing the City” by introducing local revitalisation planning strategies in Eindhoven when traditional industries are leaving. These strategies are: ecology-based planning; stimulating encounters; slow-lane connection; transformation of industrial buildings; building communities; public participation; social design, etc. Martin Dubbeling firstly introduced the ISOCARP and his works in Wuhan, Shantou and Nanjing on behalf of the UPAT from 2011 to 2013. Then he focused on the water system planning in Huayao Village, Shantou, providing some innovative solution to local development and quality. 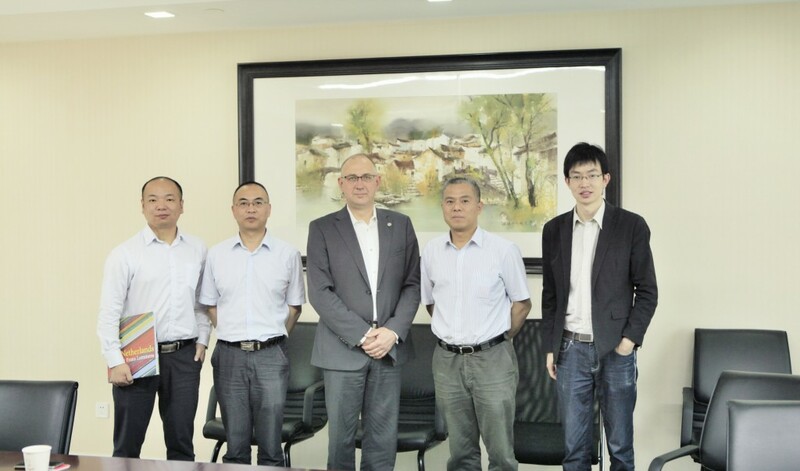 After Ningbo the Team of Dutch Experts travelled to Wuhan 01 and 02 June where they met with prof. dr. Zhengdong Huang, Vice Dean of the School of Urban Design of the Wuhan University, and his staff to prepare the Sino-US-Dutch Planning Weeks 27 July – 07 August. In Wuhan the Team of Dutch Experts and representatives from the Wuhan Urban Planning & Research and Exhibition Center, the Wuhan Land Administration and Urban Planning Bureau, the Wuhan Planning & Design Institute and the Hubei Province joined in another “Pop-up Sino-Dutch Planning Seminar” with presentations of Jiong Yan (KuiperCompagnons), Rob van der Wijst (NLUD), Hans Hofman (Buro Hofsteden) en Martin Dubbeling (ISOCARP and Connecting Cities). The Team of Dutch Experts from ISOCARP and the Connecting Cities Network got high compliments from the universities and planning institutes they visited in Nanjing, Ningbo and Wuhan. They are arranging follow-up meetings and other programmes schedule for the second half of 2015 and 2016. The Team of Dutch Experts (TDE) was led by Martin Dubbeling (Vice President of ISOCARP, founder of Connecting Cities). Other team members were Mark Niesten (International Project Manager of KuiperCompagnons), Martin Probst (Associate Director of MLA+ Architecture and Urban Design), Rob van der Wijst (founder of NLUD Next Level Urban Design) and Hans Hofman (founder of Buro Hofsteden Landscape and Urban Design). In addition, PhD candidate Kai Wang from Institute of Housing and Urban Development Studies, Erasmus University Rotterdam went to Nanjing with the Dutch expert team, providing assistance to the Team of Dutch Experts and local partners.